Just when Mega Man X thought he had brought down all the X-Hunters, several months later an uprising moves from within an abandoned factory. While 8 all-new X-Hunters occupy Mega Man X, a triple threat plots to resurrect a secret weapon that is all too familiar!The good Dr. Light supplies Mega man X with incredible new abilities hidden in capsules buried deep below the surface. And with new vehicles like the mobile attack cycle plus powers he gains from the X-Hunters, Mega Man X will be ready to face his destiny as a Maverick Hunter. 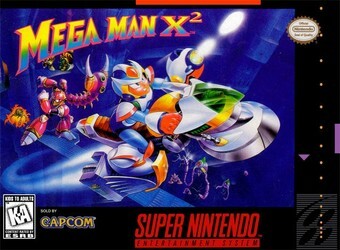 Now it's all or Zero for Mega Man X!